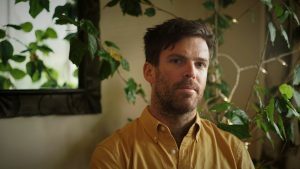 Andrew Witt is the 2018-2020 Terra Foundation for American Art Postdoctoral Teaching Fellow at the Humboldt-Universität zu Berlin. Andrew completed his PhD at University College London in 2016 and his MA at UCL in 2010. His dissertation addressed the reinvention of documentary photography in the 1970s, focusing on the work of John Divola, Allan Sekula, Martha Rosler and the collaborative practice of Larry Sultan and Mike Mandel. His current research considers the development of experimental photography in Los Angeles and its relation to the communities of exile in the 1940s. From this research he is developing a publication on the photographic work of Maya Deren and Alexander Hammid. Andrew’s teaching interests include the history of photography, sculpture, contemporary art and aesthetic theory. ”You speak of things that haven’t happened yet in the past-tense’ | John Divola’s Los Angeles,’ Oxford Art Journal, Vol. 41, issue 3, December 2018, 403-426. ‘Splendour without diminishment: On Vancouver Photography,’ American Suburb X, February 14, 2018. ‘Evidence,’ Tate: In Focus Papers, June 2017. ‘Recessional Aesthetics: An Exchange,’ (with Nathan Crompton) October, Vol. 135 Winter. ”It must be done with mirrors’ | Maya Deren and Alexander Hammid,’ American Art in the 1940s, Global Currents, Local Tides. Terra Foundation for American Art. April 15-16, 2019. ‘Diasporic Imaginaries,’ Deutsches Forum fur Kunstgeschite, Centre Allemand d’Historie de L’Art, Paris. April 4-5, 2019. ‘Exile Modernism: The Photographic Work of Maya Deren and Alexander Hammid,’ College Art Association 2019, February 14, 2019. ‘Ask the dust,’ Approaching the Sea: Allan Sekula’s Fish Story, MACK Books, Institute of Advanced Studies, University College London, October 24, 2018. ‘Los Angeles: A Speculative Fiction,’ Los Angeles: A Fiction, Astrup Fearnley Museet, Oslo Norway, November 10, 2016. ‘Proust and Illumination,’ Proust Project, University College London. June 11, 2016. Organized by Briony Fer and Rye Holmboe. ‘You speak of things that haven’t happened yet in the past-tense,’ Materials / Discourse Project, December 10, 2015. ‘Figuring Disaster, Prefiguring Catastrophe | The Case of Mike Mandel and Larry Sultan,’ Historical Materialism 12th Annual Conference, The old is dying and the new can not be born: states, strategies, socialisms, November 5 to 8 ,, 2015. ‘Valences of Destruction: Allan Sekula and the Comic,’ Crash and Burn: Destruction in American Art , Courtauld Institute of Art, June 5, 2015. ‘Working Worlds,’ with Rye Holmboe at Working Worlds , University College London, 16 May 2015. ‘Dead Labor,’ 41st Annual Association for Art Historians, East Anglia, Death, Between Sublimation and the Real, April 9-11, 2015. ‘Riots, Strikes and Mass Mobilization: A Contemporary Account of the Conflict Image,’ Visual Cultures in Crisis, York University, UK, May 11, 2013. ‘Allan Sekula: Ask the dust,’ American Suburb X, November 24, 2018. ‘Painting and Obstinacy,’ Peripheral Review, May 9, 2018. ‘A Shattered Mirror: Geoffrey Farmer’s Disobedient Object in Venice,’ Momus. August 16, 2017. ‘Soulmaker: The Times of Lewis Hine,’ Alexander Nemerov, History of Photography, Vol. 41, Summer, 2017, 319-321. ‘Eccentric, Polymorphous, Abstract: Vancouver Art and Other Mythologies of the Near-Future,’ The Mainlander, January 17, 2017. ‘To Dwell in the Contradictions,’ Oxford Art Journal, Special Issue on Paul Strand, Vol. 38, issue 1 Oxford. 155-157. ‘The Vancouver Art Gallery and the Eviction of a Political Idea,’ The Mainlander, July 13, 2013.